I am super excited to finally share Steven and Kelsey’s romantic Giraffe Manor destination engagement session with you! 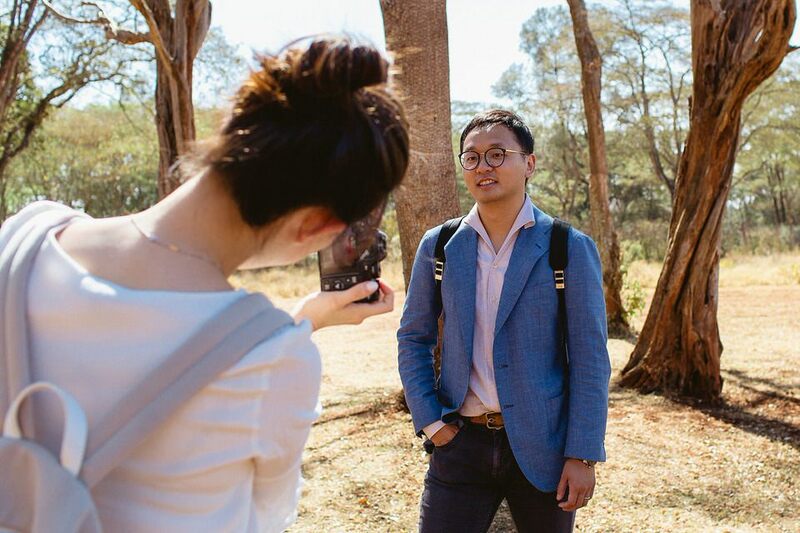 This beautiful destination proposal took 4 days off adventure travel from Mombasa to Nairobi and then to Masai Mara and capture most beautiful spots. So if you’re planning a honeymoon or anniversary trip to Kenya any time soon, check this out as this will definitely help you! Since Kelsey know that we are going to create an Amazing Album of her proposal, she got a few surprises for us: she brought not only here engagement outfits but a wedding dress as well!! Dream bride for a photographer!!! So, we choose to have a few posts about this amazing journey, as we have a ton of our favorites images!!! Our first day we meet in Giraffe Manor, we start our portrait after the sunrise, we wanted to capture this beautiful light and breakfast feeding of Giraffes. Such a great experience! Nature, luxury decor, and coffee. Just check it yourself! Thank you for giving us the enjoyment of having witnessed your love for each other and we very honored documenting your destination proposal, and preserve memories for years to come. It was a dream trip for us, we were celebrating our wedding anniversary in same days - that makes all moment of this vacation so special for us! We have seen a lot of love stories, but yours is so unique and special! We send you love from Mombasa to Beijing, and we hope you love your images as much as we do. We are so excited to share more posts about your destination Engagement in Kenya soon!